Flexi-Fix seats are the answer to seats becoming loose over time with its innovative grip pad technology and pioneering patented V plate hinges. The innovative grip pad technology and pioneering patented V plate hinges provide maximum adjustment to fit the fixing holes of any standard toilet pan. 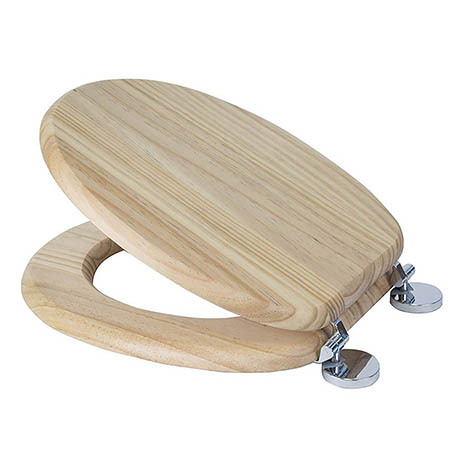 This stylish toilet seat is made from anti-bacterial treated solid pine and finished in an blonde effect. Suitable for most standard toilets; the seat has chrome plated hinges which are adjustable and includes all necessary fixings. It's quite sturdy and of good quality.